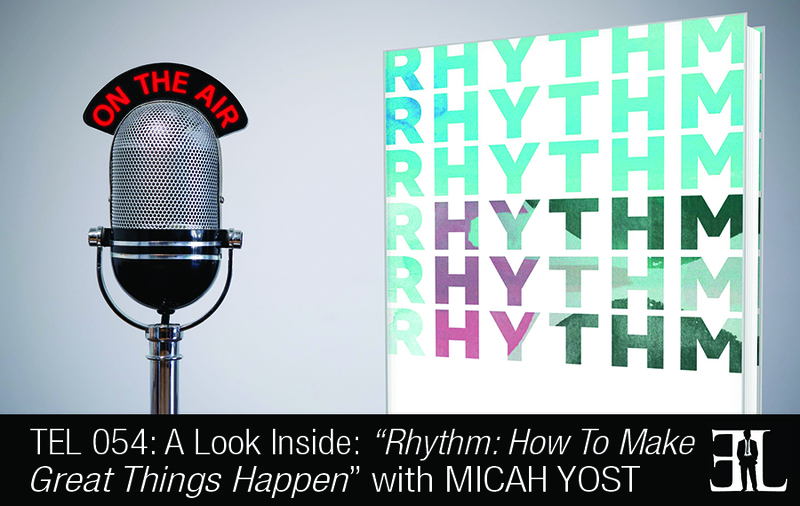 In this episode Micah Yost takes a deep dive into his book, Rhythm where he addresses the problem when entrepreneurs know they need to be creative, but essentially lack the ability. In his book, Yost provides you with a field guide for solving this problem with a purpose to boost your creative confidence with a solid and approachable guideline to become consistently effective at innovation. This book is perfect for entrepreneurs who lack the ability to generate ideas or have ideas they have yet seen to succeed. My book is only about 50 pages long and I did that very intentionally because I felt like if I use the right words and communicated with brevity I could get this point across in 50 pages. My hope is that this would be a book that you read straight through front to back and you keep with you as a reference. At the end of each chapter I have five actions points to help you make something and do something with this book. It’s rhythm – great things happen when you get into a rhythm and that’s the core of the book. The whole book rally’s around the equation of influence + rhythm x action = creative. I define creative as someone who consistently executes ideas and this equation is what gets us there. I start by talking about influences and I really take people through the idea that our ideas happen way before we get to the white board. What influences us in our past and during our work is what really brings us to our ideas. I write a lot about my grandfather who is a poet and philosopher who lives in a small town and he walks the alleys everyday with his notebook and pencil and that’s where all his poetry comes out of. I ask the question of how different those poems would be instead of walking the alleys of small town America but instead he was walking the cities of Chicago. His poetry would be so much different based on that change in influence and it’s the same for us. The ideas that we are going to have are going to be significantly different depending on the influences in our life. We need to think about what is influencing us and bringing about our ideas. I move on to talk a little bit about this idea of rhythm and how important it is that it became the title of the book. I talk about this idea of routine, consistently doing the same things and I say that doing the same things will bring the same results. In the book I walk through some of the most significant creatives and innovators in history and the routine that each of them had that helped them bring about their ideas. I finish up the book talking about action. Action is the wild card, it’s the multiplier. Even poor ideas can become great if we become really good at execution. We walk through this idea that great innovators have this bias towards moving things forward and bringing things to light. Honestly, ideas are worthless by themselves and without really good action. To close the book I walk through specific examples of looking at people and their innovations and how this looked and worked for them. I live right in the middle of the country in Omaha Nebraska and work with an awesome group of creatives at a company called Elevate where we do digital brand and design. My undergrad is in the arts and my graduate degree is in business. I’ve spent the past decade working right at that intersection of creativity, innovation and business. I was on an airplane a couple months back flying into Tennessee to speak at a conference called Everywhere Else. I was planning on talking about something else but I have a rhythm of my own of going back and scrubbing my notes. I came upon a question of what would it look like to really make creativity and innovation consistently executable and out of that came an equation that I write about in the book and it turned into the talk that I gave during the conference. It spurred a lot of questions and conversation at the conference so I felt like I wanted to take it further and try to address that issue.